There has never been a greater need for practical DIY marketing advice from a musician who has been there and succeeded than now - at a time when new technologies make it more possible than ever for musicians to attract attention independently and leverage their own careers, and record industry professionals look exclusively for developed artists who are already successful. 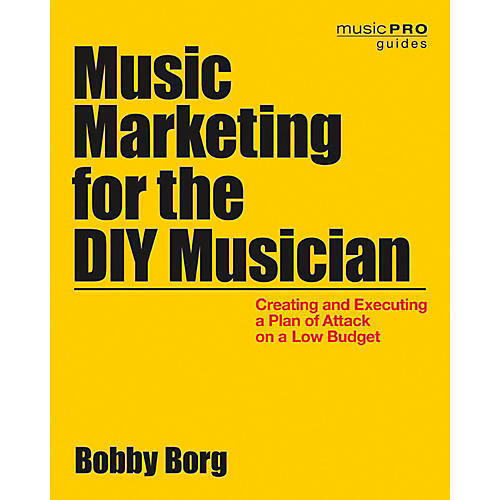 Written by a professional musician for other musicians, Music Marketing for the DIY Musician is a proactive, practical, step-by-step guide to producing a fully integrated, customized, low-budget plan of attack for artists marketing their own music. In a conversational tone, it reveals a systematic business approach employing the same tools and techniques used by innovative top companies, while always encouraging musicians to stay true to their artistic integrity. It's the perfect blend of left-brain and right-brain marketing. This book is the culmination of the author's 25 years in the trenches as a musician and entrepreneur, and over a decade in academic and practical research involving thousands of independent artists and marketing experts from around the world. The goal is to help musical artists take control of their own destiny, save money and time, and eventually draw the full attention of top music industry professionals. It's ultimately about making music that matters - and music that gets heard!